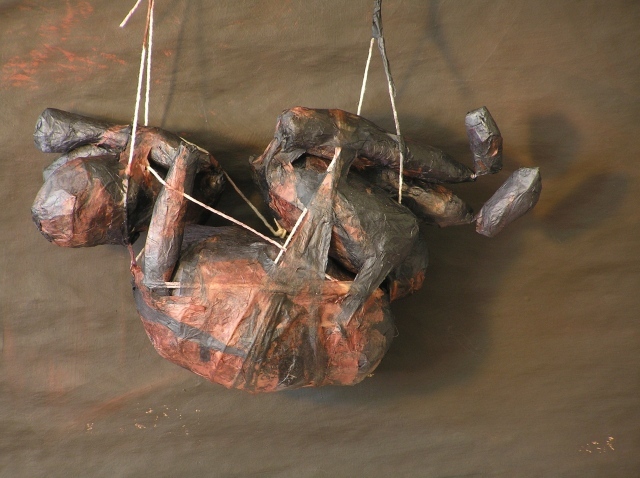 A figure is trapped and bound, suspended in front of a backdrop of brown mud. Curled up like a baby, comforted in the muck, the viewer is pulled into the scene. My Mud Story is the basis for a dialogical project in which I invite viewers to respond to the piece. Curious about what my personal stories trigger in others, I set out cards asking viewers to tell me their mud stories. Participants at two viewings offered over twenty mud stories. With this project I am exploring how meaning is transferred between artist and audience.